Who Is Really Paying the Price of Fighting in South Sudan? When South Sudan gained independence three years ago it was probably one of the happiest days of my life. Africa’s youngest nation – my home – was full of optimism and hope. I was there in Freedom Square in the capital, Juba, celebrating with my parents, my siblings and my countrymen and women. It was an unbelievable feeling. Everyone was excited, with people speaking of a promising future ahead, of prosperity and harmony. But now as the third anniversary of the nation’s independence approaches, that optimism and hope has turned to despair and fear as the reality of months of brutal conflict takes hold. I knew the road ahead for South Sudan would be difficult after decades of war, but I never thought it would be like this. Since last December when fighting broke out, tens of thousands of people have been killed, almost 400,000 have fled to neighbouring countries and more than one million remain displaced within South Sudan’s borders. In those first few days towns were burned to the ground, including homes, schools and hospitals. A ceasefire was signed in May, but it didn’t hold and reports of new fighting soon emerged. Torn apart by conflict and on the brink of famine, South Sudan’s future hangs in the balance. And with 60 percent of the population under 18, children are among the most vulnerable in this escalating humanitarian crisis. Not only have food shortages left hundreds of thousands of children at risk of malnutrition – children have also been subjected to horrific violence. Read More Who Is Really Paying the Price of Fighting in South Sudan? 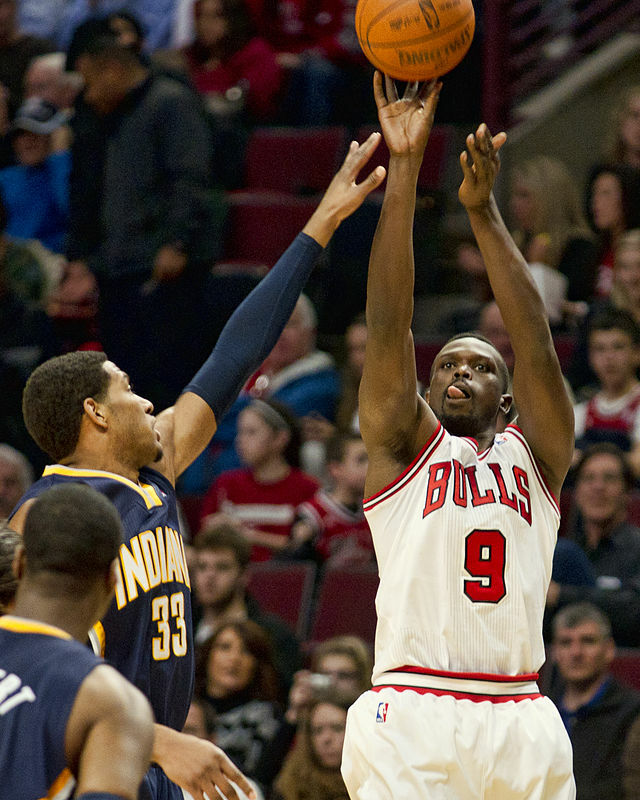 | Luol Deng. This entry was posted in News from the Soul Brother and tagged Africa, civil war, commentary, famine, Luol Deng, South Sudan, violence, war. Bookmark the permalink.